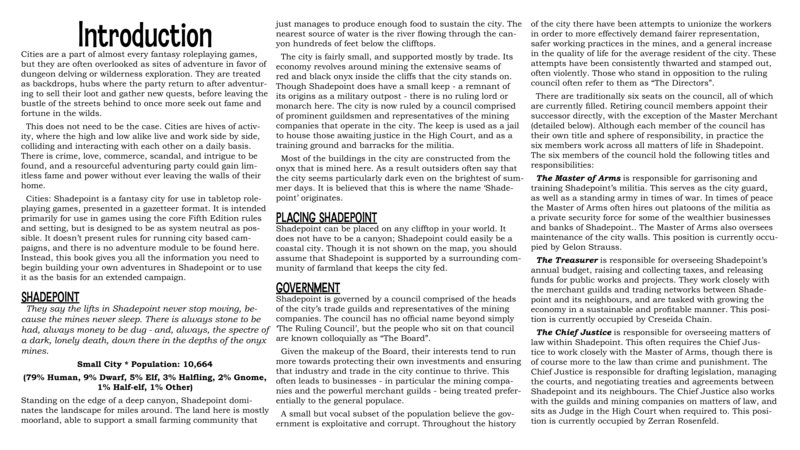 They say the lifts in Shadepoint never stop moving, because the mines never sleep. 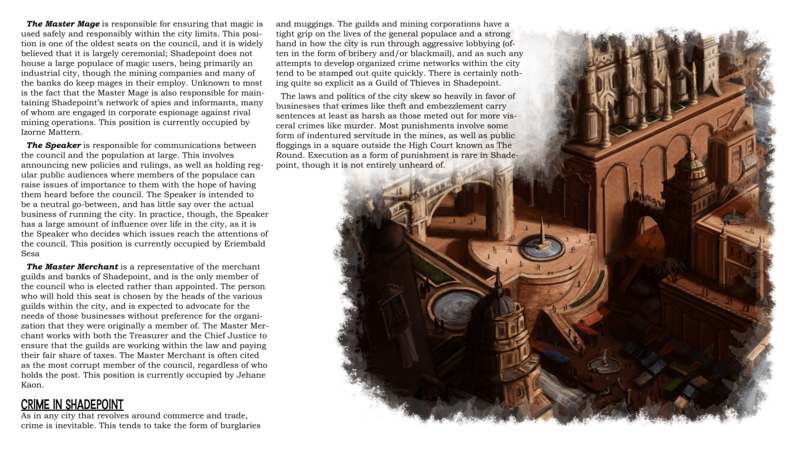 There is always stone to be had, always money to be dug - and, always, the spectre of a dark, lonely death, down there in the depths of the onyx mines. 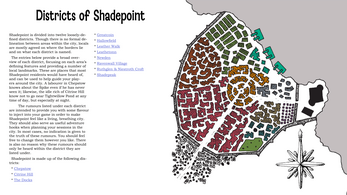 Shadepoint is a dark, weird mining city on the edge of a vast canyon. The onyx mines flood the city with money - and, occasionally, the horrors that lie deep beneath the earth. 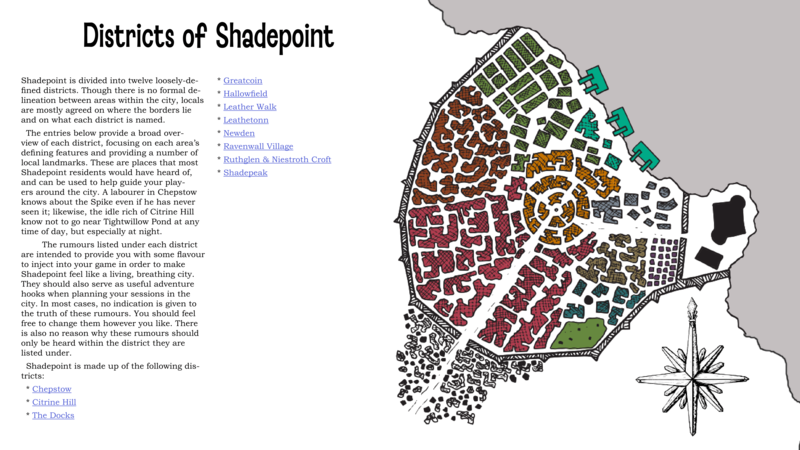 Shadepoint is a system-neutral city for use with your favourite tabletop fantasy roleplaying games. This 22-page supplement details each major district of the city, key NPCs, and enough adventure hooks to fuel years of adventure. 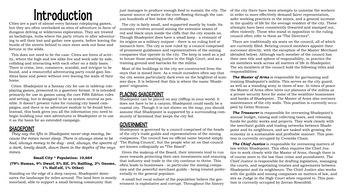 Cities: Shadepoint is brought to you by Loot The Room, an ENnie nominated blog. This product is made available under the Pay What You Want model thanks to the generosity of Loot The Room's patrons on Patreon. 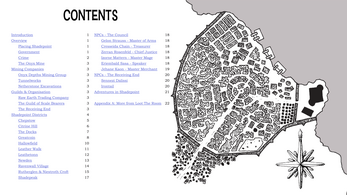 Support Loot The Room on Patreon! 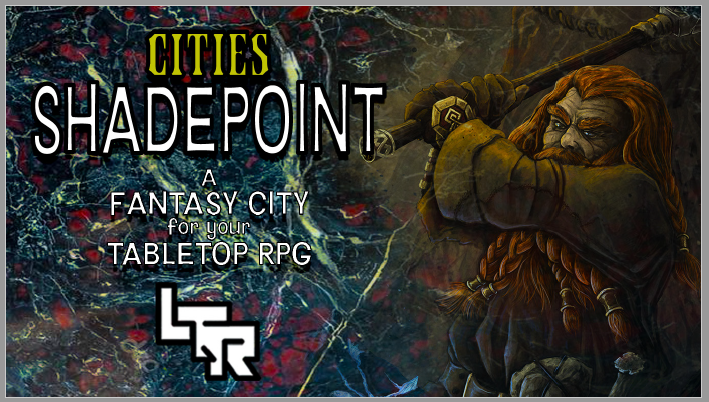 Find more products from Loot The Room on the DMs Guild!